To provide a cloud storage medium for their users and also to protect their users content, Spice has launched its own cloud service, thus becoming the first Indian brand to launch Cloud service. The Spice Cloud service enables consumers to automatically and wirelessly store and secure data, provide anti-theft features that protect the user’s content and help them to locate the device. The service gives Spice users access to data on multiple devices. The service also has features like retrieving call logs, file access, file backup. 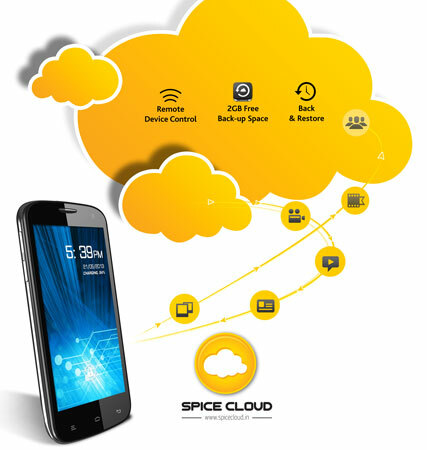 Spice Cloud provides Spice consumers with Cloud Backup of 2GB free Data storage.